Details: In today's digital age, people crave the touch of the handmade. Lettering is a timeless art form that is experiencing a renaissance of popularity. 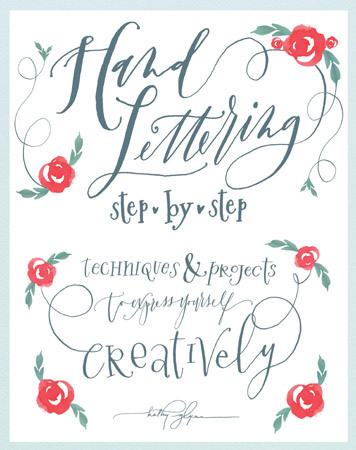 In Hand Lettering Step-by-Step, artist Kathy Glynn demonstrates how to create lettering styles that are expressive, beautiful, and romantic. After explaining the basics of three main forms of lettering—modern pointed-pen, brush lettering, and hand lettering—Kathy demonstrates how to combine lettering styles, add embellishments, and even digitize lettering for a variety of uses. Twenty-two original projects explore ways to incorporate lettering into art and craft designs, including wedding invitations, place cards, temporary tattoos, address stamps, a custom family tree, wall art, jewelry, and more. Paperback with flaps • 8.75" x 11"